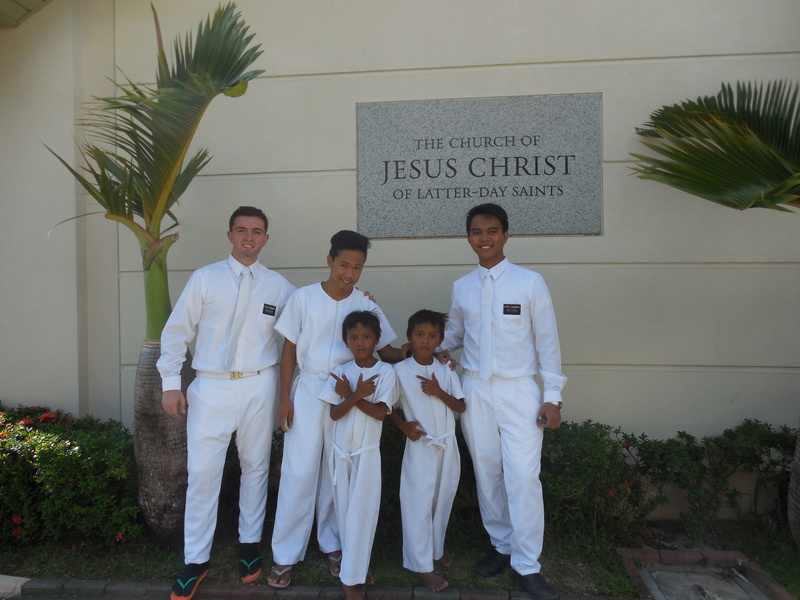 Missionary Work Continues in the Philippines! This is a photo of the beautiful land that I am serving in! Well, we had some baptisms this last week. They were great. I got to baptize the twins! The water in the font was cold and they are both very skinny and so when they got in the water they were FREEZING! But then it was okay! on the first one I messed up the prayer so I had to say it again, but I baptized both of them well! One of them didn’t close his eyes under the water! He just was staring at me the whole time, it was kinda cool actually! The other young man, JM, who got baptized is 16 years old and will be the only member on his island when he goes back on friday, so he’s a pioneer in some aspects!!! Pretty crazy right?? But he’s COMPLETELY transformed. It’s so amazing to see the change that happens…. you know?! I have attached a few photos of me and the recent baptisms. 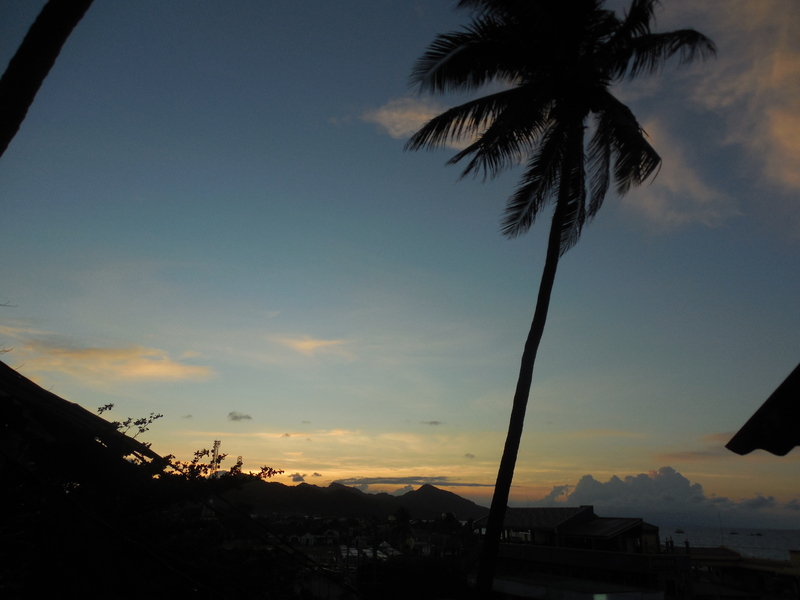 There are also a few photos of the surroundings around Atimonan. The rice patty is so brown because it’s so dang hot here all the time!!! In the “ber” months (October, November, December) its all nice and green but for now we bake!! 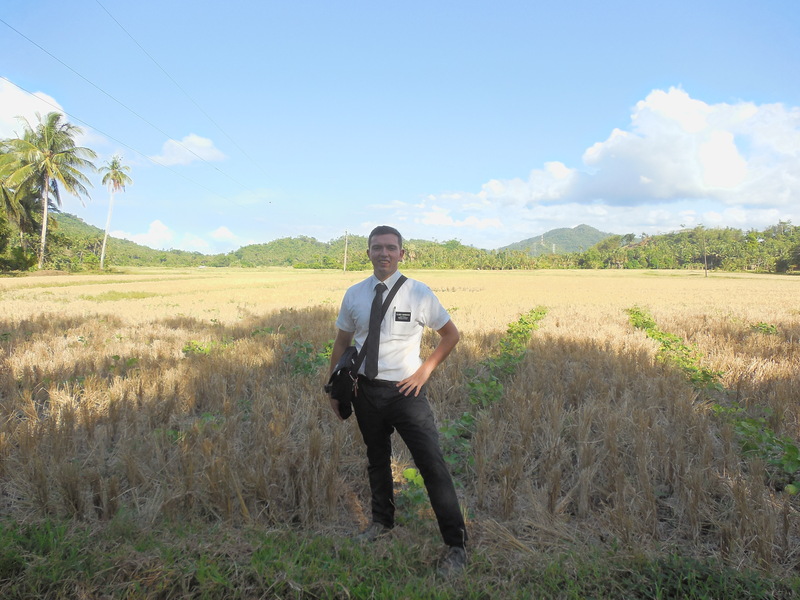 Elder Burbidge outstanding in his field! 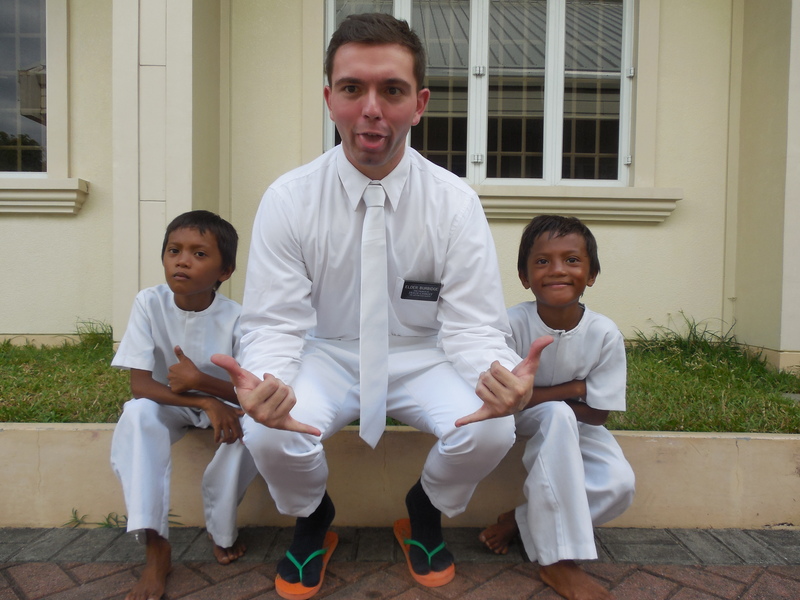 Elder Burbidge and the twins being goofy!